1. Mobility. It’s no secret that mobile phones are changing the way we live our lives. Mobility comes into play with HVAC marketing trends by allowing quicker and more efficient transactions, which means big things to the busy customer base who will be utilizing apps and mobile-friendly designs to research companies. HVAC companies who embrace digital technologies to ease the service process for their employees and customers will stand out from their competition. 2. Videos Speak Volumes. Videos will continue to be a major part of digital marketing campaigns. Smart HVAC leaders will leverage the power of platforms such as YouTube to establish themselves as authority figures in the industry. As DIY and how-to tips are seen less as threats and more as opportunities to show credibility, video advertising will continue to emerge strongly on the scene. 3. Location-Based Marketing Finds Its Spot on the Map. Decision-makers will likely pay attention to one of the emerging HVAC marketing trends that takes location-based targeting to the next level. Through the use of geofencing, HVAC companies will begin to embrace the ability to send people in very specific locations messages designated especially for them. 4. Relationship-Based Marketing Continues. 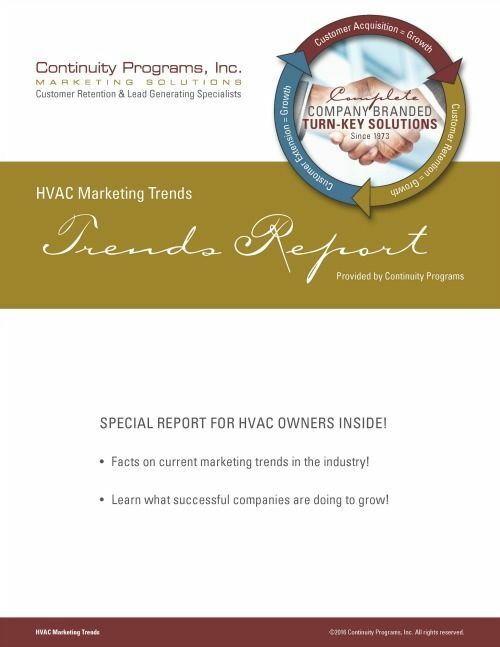 Wise HVAC businesses are learning the value of loyalty when it comes to their customers. Rather than completing a job and waiting for the next people to give them a call, successful companies are embracing the opportunities to engage with their customers, helping to facilitate trust, valuable feedback and referrals to friends, neighbors and associates. 5. Virtual Reality Enters the Picture. Realtors and other service providers have been using virtual reality for a while. Now the HVAC industry is learning the benefits of showcasing their products and services through virtual reality.